Do all good things need to come to an end? This is how we felt on the last day of the Architectural Digest Home Design Show 2015. The Nasiri team had a blast meeting new faces and showcasing our collections. We thank everyone who came to visited us, friends new and old. We are delighted that you were inspired by our Collections. 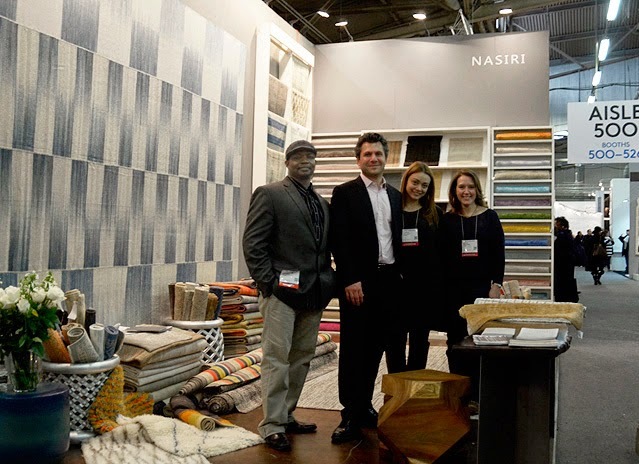 Here is a short recap of what happened, just in case you missed it, at Nasiri booth 500. The halls filled with people and the energy was fantastic. Our mission is to add something special to any space, large or small. We want your guests to say "wow." 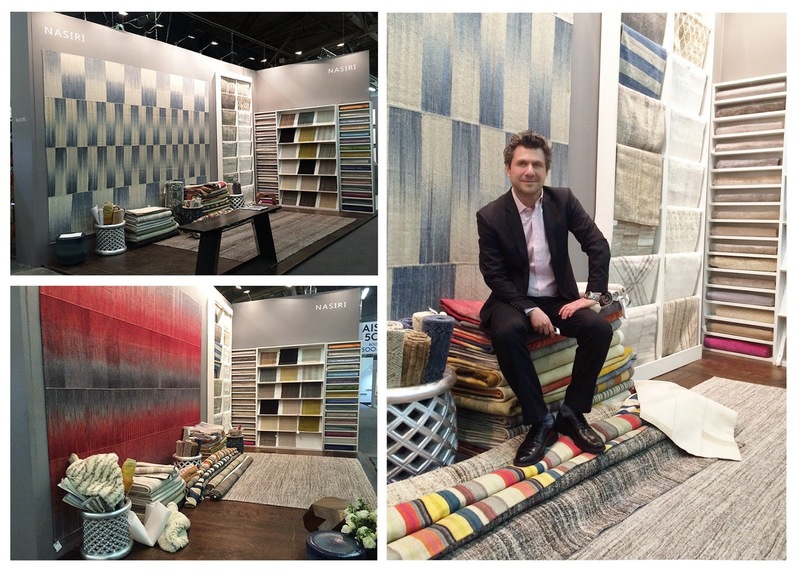 Clodagh Design and John Douglas Eason Interiors got a first look at our special Patchwork Collection. This collection is one of our newest, so we were excited to give everyone a small taste. The samples in the middle are a part of our Herringbone Collection. We look forward to the AD Home Design Show to meet new and inspiring people, which all of you were. We were honored to share our pieces with the one and only, Martha Stewart. 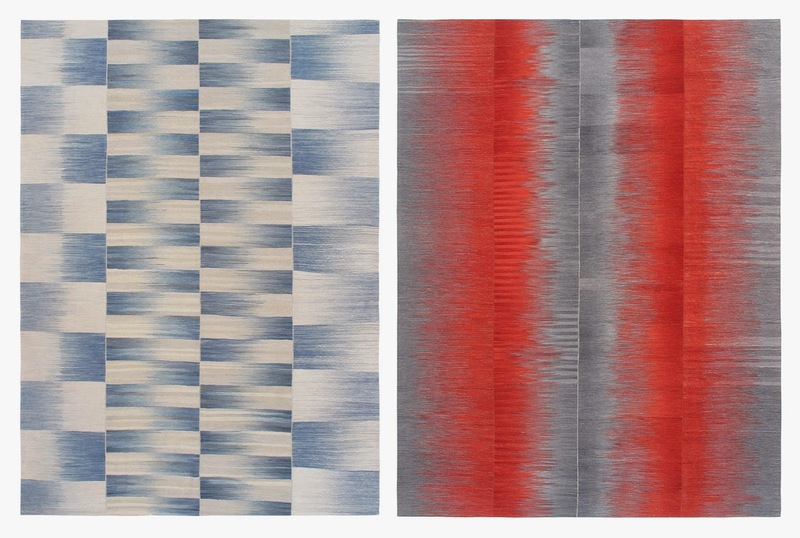 These two Mazandaran flat weave carpets were hanging on our booth wall during the show - the blue and tan carpet was on display the first two days; the blue and red was on display the last two days. We were happy that you all loved our Mazandaran Collection just as much as we do. "Thank you all for supporting our vision. See you at ICFF."